History Press (SC), 9781626190832, 189pp. Chazz Cohen lives with his grandmom in the Garden District of New Orleans. In his family, money is no problem. But money won't buy Chazz what he wants--a "real" home with his mom. Across town in the Ninth Ward, Lyric Talbert wishes her mom didn't expect so much from her, especially when her little brother gets sick. It seemed like the storm would blow over as so many had. But Katrina burst the levees, and the world turned to chaos for Chazz and Lyric and their families. They quickly learn that, though their worlds were different before the storm, it was their courage and compassion that would help them make it through. 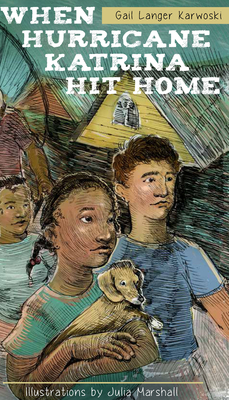 Through the alternating stories of Chazz and Lyric, acclaimed children's author Gail Langer Karwoski chronicles the disaster that forever changed New Orleans and its people.